Jan De Graaff 1958. Simply recorded as similar origin to 'Black Dragon'. 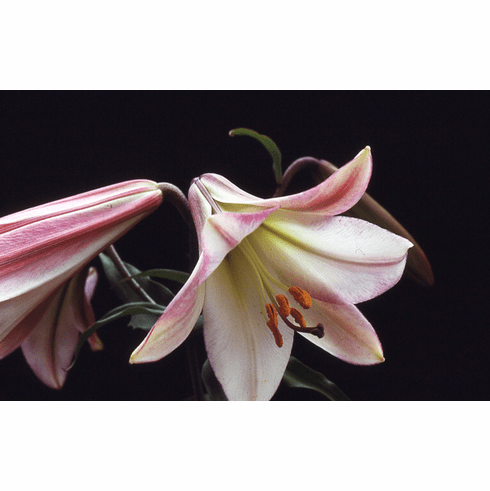 Mr. Edward McRae in his book 'Lilies' who was at one time head hybridizer at Oregon Bulb Farm recorded that 'Black Magic' was the name first used for the strain that came from seed that was collected from cottage gardens in China. He reported that 'Black Dragon' was selected from seedling from the 'Black Magic' strain and became the clone (M-12) used as the seed parent to continue on with the 'Black Dragon' strain. Photo B & D Lilies.